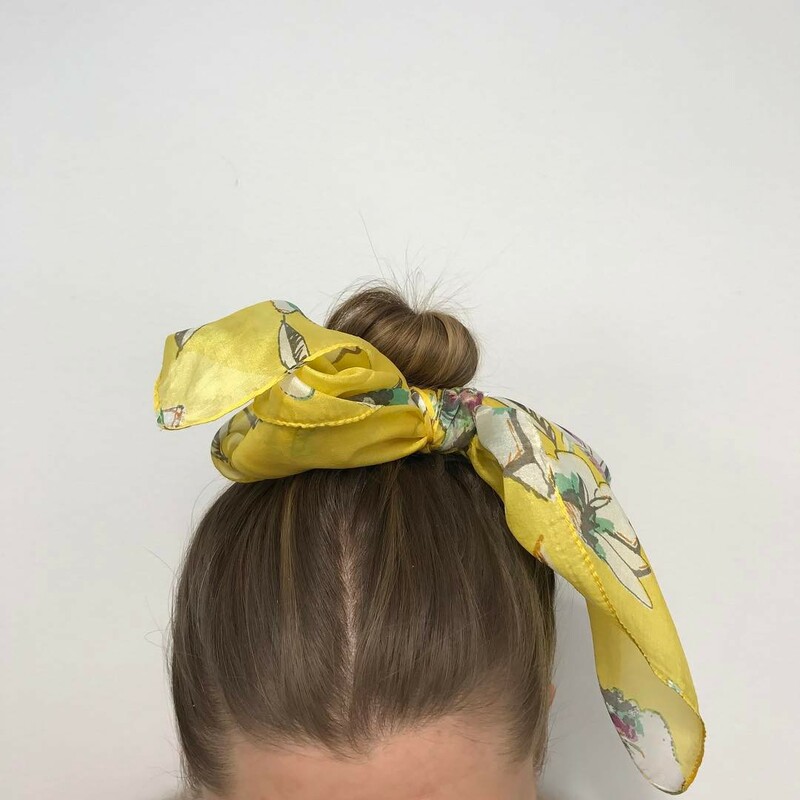 The messy bun has become a classic style for most people who have enough hair to play with, and even those who are a bit short on hair can get human hair extensions to create the perfect messy bun hairstyle. It takes patience and bravery to pull off a messy bun, you need to be brave to sometimes just go for it and have the patience to keep practising until you get it right. The trick to the perfect messy bun is prepping your hair so that it’s the right texture to create lots of volume. You need to brush through your hair so that it’s free of tangles but you don’t want it too silky smooth. To achieve this, apply some texturizing spray such as Bumble & Bumble’s Surf Spray, to the ends of your hair. Once you’re satisfied your hair is ready, tie it into a high ponytail on the top of your head. If you want a more relaxed style, loosely tie the ponytail at the base of your neck. You don’t want the hair going into your ponytail to look messy so make sure you smooth it all out before constructing the messy bun. If you have a high forehead you may want to quiff the centre of your ponytail. You can do this by backcombing the front sections of your hair and then twisting a section slightly higher than the rest of your hair as you tie it up in the ponytail. Don’t be afraid to slightly loosen sections once it’s up, you can always fix it with hairspray and hairpins afterwards. Now you’ve got the ponytail it’s the tricky bit, you need to divide it into two sections and use your fingers to twist it round into a bun. You’ll be left with a fairly neat ballet style bun. To make things look messier, pull out a few strands and secure them with hairpins around the edge of the bun. It also looks more relaxed if you pull some strands out to sculpt around your face. This may sound easier said than done, but there’s no one stopping you from practising at home. Equally, this guide is useful for people with fairly smooth or straightened hair. Fashion Magazine blog offers an excellent video guide for different combinations of hair, curly and straight. Keep in mind that your hair is going to be a bit scruffy after a day in a messy bun. So don’t opt for this style if you’re planning on having your hair down for a night out later, as it will take a lot of work to get the kinks out. A messy bun is the perfect style for a 2nd day washday, where your hair is on the edge of clean and a bit easier to texturize.